The account that had over 2000 postings is now left with under 1,000, he continues to delete. The hacker who had an account of 30k followers has since deleted his account and now populating Chameleone's with his content. He refers to himself as a jobless millionaire. 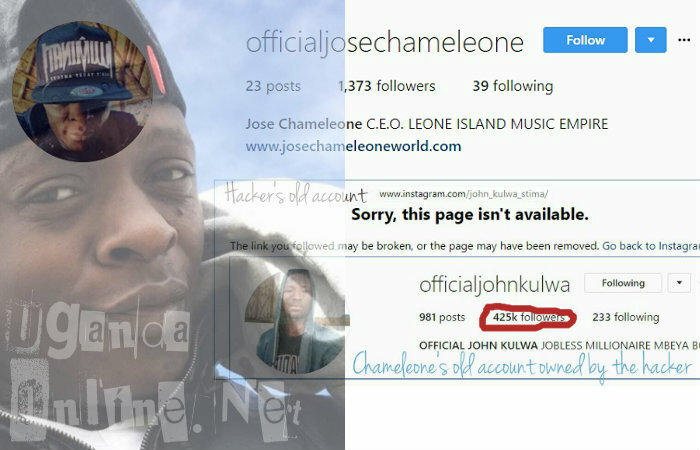 What has changed from Chameleone's old Instagram account is his name to reflect the hacker's account, but the followers are still in the range of 400,000 plus implying that Chameleone's fans were still hoping that the hacker could be kind enough to return the account, but this has not been the case. Chameleone's official page now has 1,300 followers, it will take a bit of time before the 425 followers cross over to his new account. 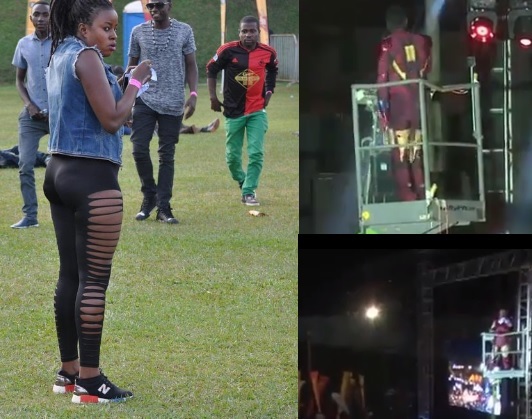 He is following some very close people on his new account that include the mom of his first bor, children and a few artists that include Konshens, Gravity Omutujju and Atlas.